Sometimes a commercial is just that good. So good in fact, that you actually get excited to see it come on again and enjoy watching it. This is often the case when we watch Superbowl commercials with million dollar budgets; but for the most part, you chuckle and go about your life. The commercial is rarely advertising genius that brings the funny or wow back to the product or service the company is offering. But this year Walmart, partnering with Publicis Groupe, has hit it out of the park! In advertising their grocery pick-up service, Walmart shows off numerous famous vehicles from our favorite movies and TV shows. Batman, Slimer from Ghostbusters, Knight Rider, Lightning McQueen, Dumb & Dumber, Bumblebee, Scooby Doo, Jurassic Park, The Griswolds, Cinderella, the Flintstones, Back to the Future, and even Sam Walton’s 1979 Ford Truck each make an appearance. Aside from the fact that we wanted an excuse to share this great commercial with you, there’s a moral here: Yes, the commercial was funny and interesting – but unlike many other commercials – anyone can tell you a week after seeing it, what the commercial was selling. 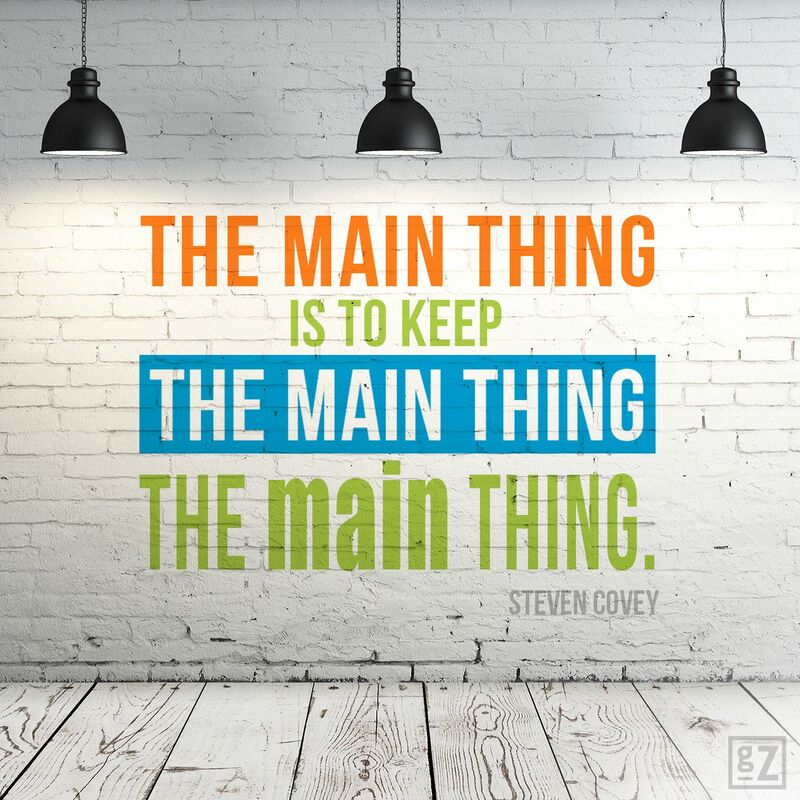 As you consider your advertisings, designs, and messaging in the development stages, keep asking yourself, “Did we keep the main thing: the main thing? If not, why not? Will people remember what I’m selling them when it’s all said and done?” Blend these thoughts with a great ad, and you’ll hit it out of the park!